LOS ANGELES, Calif. (March 21, 2016) – She is one of the best-selling female artists in country music history, who began her career with a record-setting bang, releasing three consecutive platinum albums beginning with 1989’s Leave The Light On followed by Something In Red, then Watch Me. She became the first female in the history of country music to achieve three platinum albums in a row. 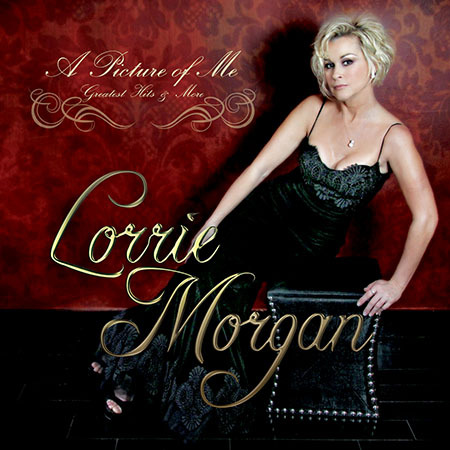 In that short time, Lorrie Morgan became not just a country superstar but a household name, thanks to such blockbuster radio-friendly singles as “Five Minutes,” “Something In Red,” “A Picture Of Me (Without You),” and “Watch Me.” Now, Morgan revisits these colossal career-making hits and several more on a new album called A Picture Of Me – Greatest Hits & More in stores NOW! It is released by Goldenlane Records. Download the digital version on iTunes and Amazon, and purchase a physical copy here. The album, which also includes lush renditions of country classics by Tammy Wynette and George Jones, showcases Morgan’s maturity over the years, as she brings new levels of emotion and expression to these songs about love and heartache, two things that country music really does best. And for her longtime supporters, the international following of fans and friends who have stuck by her through the years, Morgan proudly presents a special set of four brand new acoustic tracks heard only on this release, all of which were written by her late husband and country star Keith Whitley. April 02 Grand Ole Opry – Nashville, Tenn.
April 07 Ryman Auditorium – Nashville, Tenn.
May 28 The Franklin Theatre – Franklin, Tenn.
July 15 Shawnee Bluff Vineyard – Eldon, Mo. Aug. 05 Bemus Bay Pops – Bemus Point, N.Y.
Aug. 06 Schoharie County Sunshine Fair – Cobleskill, N.Y.
Aug. 07 Rams Head On Stage – Annapolis, M.D. Sept. 03 Lancaster Fair – Lancaster, N.H.
Oct. 29 Blue Gate Theater – Shipshewana, Ind.